ARMAGEDDON . . . coming 8/29! 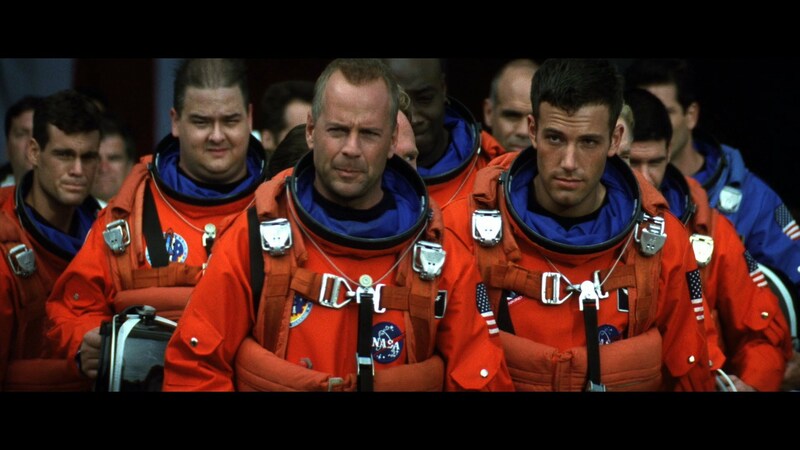 Friends, it’s hard to believe but this Tuesday is our final film of the season and we’re going out like gangbusters with ARMAGEDDON. This 1998 Michael Bay/Jerry Bruckheimer extravaganza stars Bruce Willis, Ben Affleck, Billy Bob Thornton, Liv Tyler, Owen Wilson, Keith David, Michael Clarke Duncan, and Steve Buscemi and follows a rag-tag group of deep-core drillers sent into space on a last-ditch mission to prevent an asteroid from demolishing the earth. ARMAGEDDON is being brought to you by Sunny’s Bar and Hometown Bar-B-Que, who will be with us at the pier serving up a dinner fit for a roughneck: beef and pork meatball heroes on a seeded Caputo’s hero, slathered in marinara sauce and herbed ricotta (arugula salad on the side). And for the vegetarians, there’ll be an eggplant and mushroom variation–yum! We’ll take one of each. And lest you forget, our dessert options are, as always, off the hook with Steve’s Authentic Key Lime Pies open across the parking lot, Dolce Brooklyn serving their hand-crafted gelato and sorbet, and KingLeche Cremes representing with their goats milk ice cream bars and fresh popcorn.